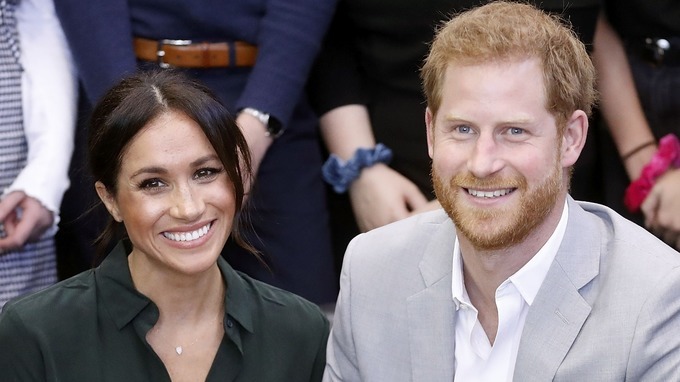 Royal baby alert: Meghan Markle and Prince Harry are expecting their first baby together! Kensington Palace declared the news on Monday morning, hours after the Duke and Duchess of Sussex arrived in Australia for their first imperial visit as a wedded couple. Meghan, 37, recently fueled pregnancy rumors after sporting a Givenchy coat fastened loosely as she went with Harry, 34, to his cousin Princess Eugenie’s wedding to Jack Brooksbank on Friday. The child news comes five months after the duke and duchess got married and had their very own royal wedding at a similar setting, St. George’s Chapel at Windsor Castle, before Queen Elizabeth II, Prince Philip, Prince William, Kate Middleton, and Prince Charles, who helped walk Meghan down the path after her dad, Thomas Markle, was not able go to. Meghan stunned in a Clare Waight Keller for Givenchy dress and Queen Mary’s precious stone bandeau tiara (on advance from Queen Elizabeth II) at the function, which was additionally attended by her mother, Doria Ragland, and also celeb friends like, Oprah Winfrey, Priyanka Chopra, Victoria Beckham, David Beckham, George Clooney and Amal Clooney. Meghan Markle’s previous Suits co-stars were also in the building of the royal wedding.